Activated carbon can remove all flue gases including carbon dioxide. 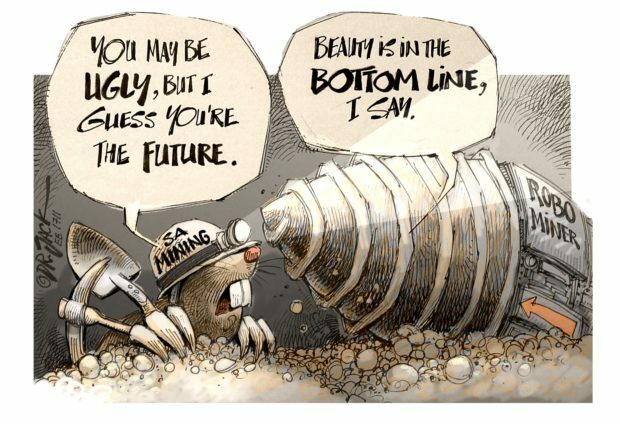 Coal fired power stations will be around for a number of years, and with increasing environmental requirements, the need for “clean” coal is becoming increasingly important. Burning coal produces a number of undesirable compounds in addition to carbon dioxide, mainly sulphur and nitrogen-based, as well as heavy metal and organic compounds, which comprise a health hazard. Traditional methods remove the compounds from the flue gas after particulate matter has been removed. Most systems remove a single item at a time and separate systems are required for each pollutant. Activated carbon-based systems which can remove all the components of flue gas in one system have been developed. Concurrent removal of sulphur dioxide (SO2), nitrous oxide (NOx), hydrogen sulphide (H2S), heavy metals, dioxins and furans from flue gas is possible. In addition, solid material-based systems for CO2 capture are making an appearance. Activated carbon is a generic term for a family of highly porous carbonaceous materials, none of which can be characterised by a structural formula or by chemical analysis. Activated carbons (also called activated charcoal or activated coal), are an amorphous, non-graphitic form of carbon characterised by a large specific surfaced area of 300 to 2500 m2/g, which allows for the physical adsorption of gases and dissolved or dispersed substances from liquids. The large internal surface area and greater number of pores of the activated carbon mainly depend on the choice of raw material and method of manufacture. Commercial grades of activated carbon are divided into two classes, gas-phase and liquid-phase carbons. Fig. 1: Fixed bed two-reactor system. Gas-phase or vapour adsorbent carbons are hard granules or hard, generally dust-free pellets, while liquid-phase carbons are generally powdered or granular in form. The major difference between these two types lies in the pore size distribution. Gas-phase carbons have predominantly fine pores, less than 100 A in diameter, whereas the pore diameters for liquid-phase carbons have a broad range of 5 – 100 000 A. The class of activated carbon produced depends on the raw material and, to a lesser extent, on the process of manufacture. Activated carbon can be manufactured from any cellulosic or ligno-cellulosic material. Bituminous coal is one of these types of material which can be used to manufacture activated carbon because of its inherent microstructure. Other precursors that have been proved successful are agricultural wastes, coconut shells, pecan nut shells and date pits. Woven fabrics of activated carbon fibers (ACFs), derived from artificial and synthetic raw materials, can be manufactured with uniform pore distribution and a high surface area. The most important property of ACFs is their pore size distribution, with micro pores that provide the capacity to adsorb pollutants from the water and air, when compared with granular activated carbon. ACFs in the form of felts or woven fabrics have advantages including higher specific surface areas of up to 1000 m2/g, mechanical integrity, easy handling and use in adsorption processes. They have shown potential for being used in the removal of volatile organic compounds (VOCs), as well as SOx and NOx . The physical activation step occurs at temperatures ranging from 800 to 1100°C in the presence of an oxidising atmosphere. Initially, the amorphous carbon reacts with the oxidising agent, clearing and forming new pores. This amendment promotes the increase of micro pores that act as active sites and are responsible for the high adsorption capacity. Temperature is a major factor in the activation step, and the presence of CO2 at temperatures of 800°C or higher results in materials with a high adsorption capacity and reduction in the volume of mesopores due to the higher micro pore volume. The manufacturing and activation process and the used basic raw materials determine the absorptive capacity of activated carbon products. Unimpregnated activated carbon is a good adsorbent for some organic vapors but is a poor adsorbent of low-molecular weight or polar gases. Conversely, impregnated activated carbons treated with chemical reagents react with these gases, binding them onto the carbons and so removing them from an airstream . Studies have demonstrated that nitrogen functional groups are active sites for the adsorption and oxidation of SO2, although the nature of the nitrogen groups with the higher activity had not yet been established . Tests on doping or impregnation of activated carbon with nitrogen compounds confirm that the presence of nitrogen at the surface increases catalytic activity. Various other compounds have been found to increase catalytic activity and to affect the selectivity of activated carbon to specific gaseous compounds, allowing selective removal of gaseous pollutants. Fig. 2: Continuous process system. 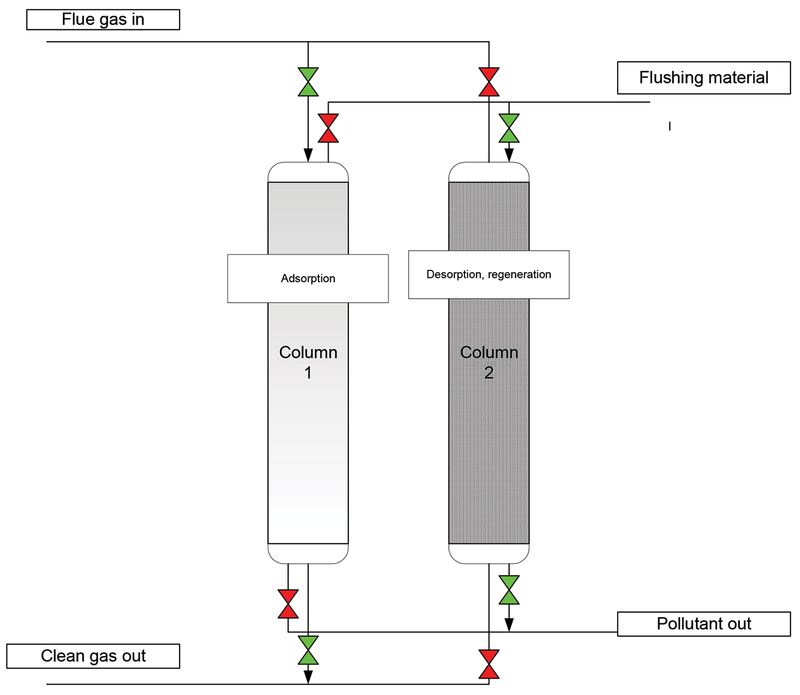 Activated carbon is very effective for multi-pollutant removal but the complicated components in flue gas can influence each other’s adsorption. For single-component adsorption, the adsorption amount of activated carbon for chlorobensene was larger than for SO2 and NO. In the multi-component atmosphere, the adsorption amount decreases for chlorobensene and for NO, whereas it increases for SO2, demonstrating that a complex atmosphere is unfavourable for chlorobensene adsorption and inhibits NO adsorption. By contrast, it is very beneficial for SO2 adsorption. The binding strength between the gas adsorbates and the activated carbon follows the order of SO2 > chlorobensene > N . This characteristic allows for a sequential continuous process of SO2, NOx and dioxine removal. Fixed bed reactors hold the adsorbent in place until the breakthrough or saturation point is reached, when they are removed from the process and go into batch regeneration cycles where the adsorbed product is removed for further processing or disposal. The sorbent is regenerated and supplemented to its original condition and the fixed bed is returned to use. A typical configuration is shown in Fig. 1, with two reactors in parallel. 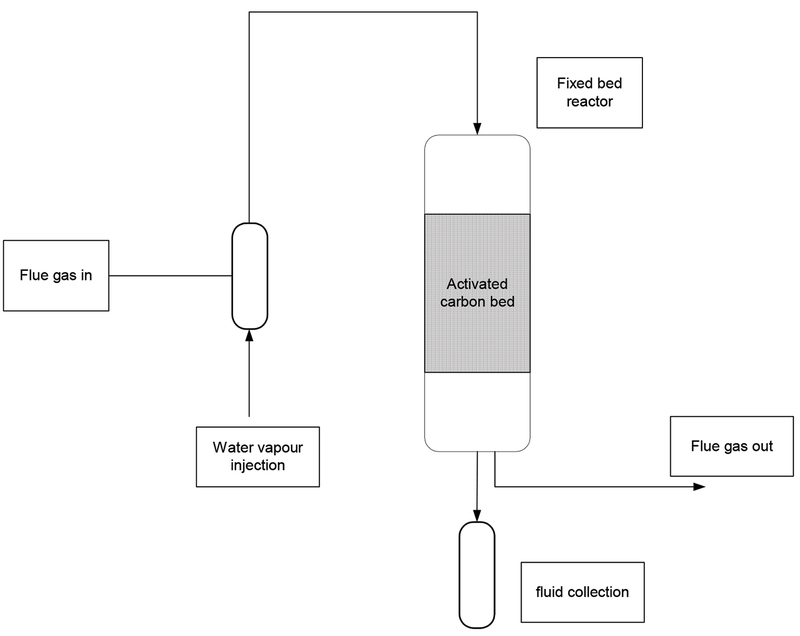 In the continuous process reactor, water vapour is added to the flue gas and the adsorbed SO2 reacts with the water vapour to produce sulphuric acid. Sulphuric acid is added to the water as well in some systems. Fig. 2 shows the basics of a continuous process reactor. The technology uses activated carbon to convert the SOx and NOx catalytically to oxides SO3 and NO2 which are further adsorbed on the activated carbon material and removed from the gas phase. This process is conducted at elevated pressures as high pressure enhances the oxidation and adsorption process. The adsorbed oxides react with the water to form H2SO4 and HNO3. In this manner, the SOx and NOx contaminants are captured in the liquid phase. The waste water can be minimised by the recirculation of the waste acid solution. 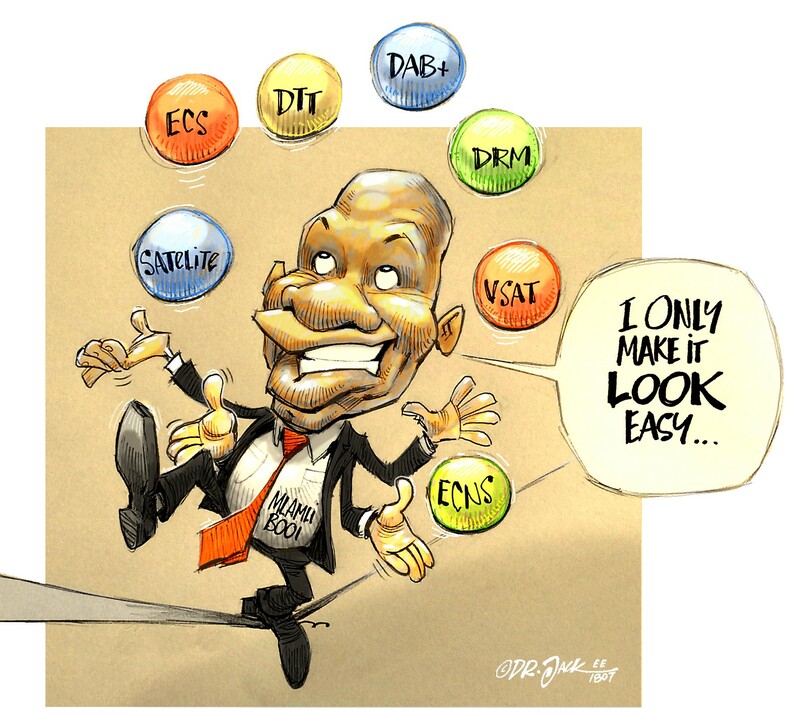 The simplicity of this technology make it attractive and easy to implement. 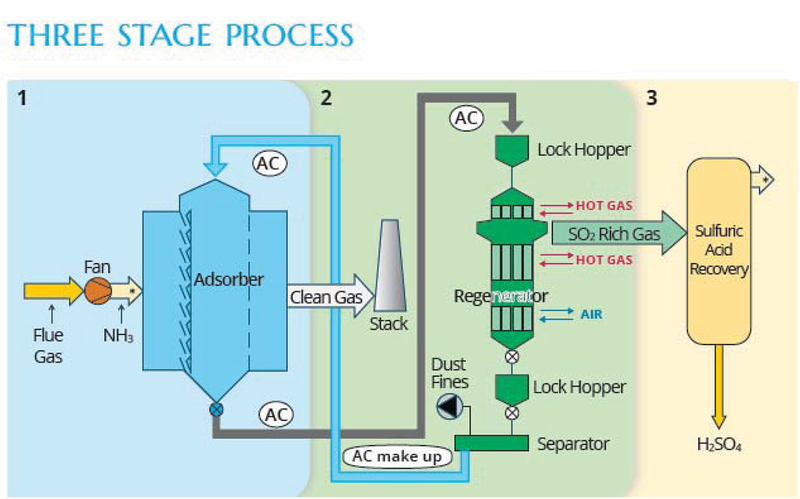 In the circulating reactor system, the sorbent is in a continuous cycle between the adsorption and desorption phases in a closed loop. A typical type is the REACT product from Hamon Research-Cottrell shown in Fig. 3. Systems capable of handling flue gas from power plant of 600 MW capacity have been installed and are working. The system removes both SO2 and N2 from flue gas as a result of theaddition of ammonia to the input stream. Multipollutant removal in the system is accomplished in three steps: The adsorption stage, where pollutants are captured on activated carbon; the regeneration stage, where the activated coke is regenerated, and the by-product recovery stage, where a marketable sulphuric acid by-product is produced. Activated carbon flue gas desulphurisation (FGD) technology is growing and has been used in Europe and Japan for cleanup of the flue gas from both coal combustion and waste incineration. This technology has proven successful at removing up to 95% of SO2 from combustion flue gas . FGD by activated carbon is an efficient, widely applied recycling technology that can not only remove sulphur dioxide, but also recover the sulphur resource. The promising FGD technology has therefore been under intensive research. Part of the problem with SO2 removal is the separation of the captured product from the activated carbon matrix. 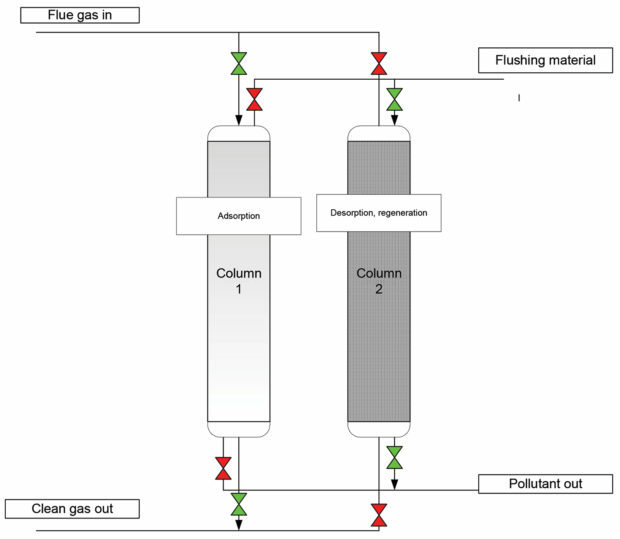 Continuous removal is necessary for flue gas decontamination. SO2 removal from flue gase by carbonaceous materials is determined by their behaviour as catalysts for SO2 oxidation into SO3 or H2SO4 in the presence of O2 or O2 and steam, respectively. Fig. 3: Circulating sorbent system (Hamon Research Cotrell). PCDD/Fs have been known to pose health effects and coal-fired power plants are among the anthropogenic sources of PCDD/Fs. 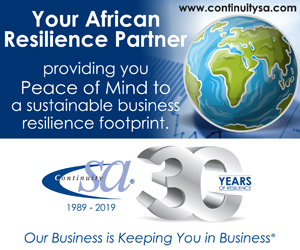 Polychlorinated dibenzo-p-dioxins (PCDDs) and polychlorinated dibensofurans (PCDFs) or commonly known as dioxins and furans are organic pollutants from industrial processes and occur in the emissions of coal-fired stations. PCDD/Fs have low water solubility and vapour pressure, are highly persistent and tend to bioaccumulate. There are 75 PCDDs and 135 PCDFs and the toxicity of each compound is represented by a toxic equivalent factor (TEF) developed by various agencies. Very little work has been done on PCDD/Fs emissions from coal fired power plant, but the studies show that the levels are generally well below the limits set for such emissions . PCCD/Fs can also be removed from flue gas by activated carbon in various forms. At present, chemical absorption using the amine-based solvent is the most matured technology used in industry. However, amine consumption has limitations such as low CO2 absorption capacity, amine degradation and the potential of corrosion. There is also a high energy penalty during absorbent regeneration (15 to 30%). Systems using solid adsorption based on activated carbon have been developed to overcome the existing technology’s limitations. Activated carbons are attractive as CO2 adsorbents due to their wide availability, high thermal stability, low cost and low sensitivity to moisture. In addition, the energy penalty for adsorbent regeneration is relatively low. Selectivity for CO2, defined by the ratio of the CO2 adsorption capacity to that of another component (for example, N2) at a given flue gas composition has a direct impact on the purity of the CO2 captured. The purity of CO2 has impacts on transportation and sequestration and, therefore, plays an important role in CO2 sequestration economics. Flue gas streams from fossil-fuel fired power plants contain N2 and O2. Good sorbent materials should exhibit high CO2 selectivity over these other bulk gas components. It is also important that solid sorbents also show high capacity for CO2 in the presence of significant amounts of water vapor in flue gas. Typical systems make use of the multiple tower system of fixed beds. The towers alternate between adsorption and desorption. In a typical adsorption separation process for CO2 capture from a fossil-fired power plant, the CO2 rich flue gas is passed through an adsorbent at low temperature and CO2 is preferentially adsorbed onto the material. Once the sorbent is saturated, it is regenerated by heating the sorbent (temperature swing adsorption or TSA) or lowering the partial pressure of CO2 (pressure swing adsorption or PSA), or some combination of the two, which causes CO2 to desorb from the material at high purity. This high purity CO2 can then be compressed for storage or use. The material properties will determine the working capacity of the sorbent and how much CO2 can be produced for given regeneration conditions. The quality and quantity of separation depend on the material properties and the driving force provided by the change in temperature or pressure, both of which have an associated energetic cost or energy penalty on the power plant. For the temperature swing process, the energy penalty is the cost of providing the heat to regenerate the sorbent. In a power plant setting, this heat would likely be supplied by extracting steam from the low pressure turbine (60 to 200°C) of the main steam cycle . At the temperatures of regeneration in question, typically much of the energy has already been extracted from the steam and the loss in electrical output from the power plant due to extracting the steam from the low pressure turbine is significantly lower than the thermal requirement on an equivalent joule basis. For pressure swing, the energy penalty is the extra energy requirement for compressing the CO2. This compressor work cannot be discounted in the same way as the thermal load because it imposes an electrical load on the power plant. There are several systems one the market that remove pollutants from flue gas at power station levels. Examples are the CPPE system available from EPCM and the REACT product from Hamon Research Cotrell. There are numerous other similar systems under development that cater for flue gas treatment from a wide variety of plant type and sizes. V Gaur: “Removal of CO2 by activated carbon fibers in the presence of O2 and H2O”, Carbon 44, 2006. A Plens: “Adsorption of SOX and NOX in activated viscose fibers”, Annals of the Brazilian Academy of Sciences, 2015. Y Lei, et al: “Adsorption and desorption of CO2, NO and chlorobensene on activated carbon”, JES 43, 2016. A Samanta, et al: “Post-Combustion CO2 Capture Using Solid Sorbents: A Review”, Industrial and Engineering Chemical Research, 2012. 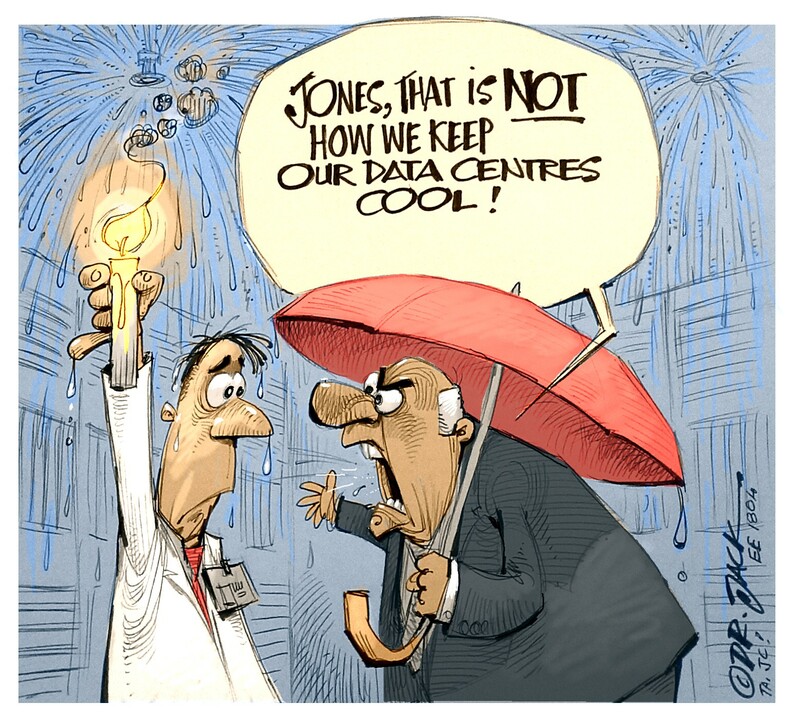 H Peters: “ReACT reduces emissions and water use”, Powermag, July 2010. M Moktahr, et al: “Measurement of PCDD/Fs emissions from a coal–fired power plant in Malaysia and establishment of emission factors”, Atmospheric Pollution Research, 2014. A Berger: “Fixed bed reactor optimising solid sorbents for CO2 capture”, Energy Procedia 37, 2013.